Didier Acouetey is the President and Founder of the AfricSearch Group, first recruitment and Human Resources consulting firm specializing in Africa, based in Paris with branches in Abidjan, Cotonou, Dakar, Douala, Johannesburg, Lome and other African capitals. 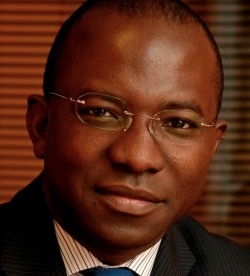 Before founding the AfricSearch Group, Didier Acouetey had worked in the advertising and packaging industry as Strategic, Sales and Marketing Director. Didier Acouetey is a graduate from the Arts et Métiers school in Paris, and holds a Bachelor degree and a MBA from “ESCP EAP”, one of the top French business schools.